One question which I can guarantee every board member gets asked at some point during their year, is how much you start dreading the rooms of building E after all the time spent working there. And while it is true that I probably would not enjoy seeing the statistics on just how many countless hours I have been holed up in the association’s headquarters, there is also more than enough times where I have got to visit fun places on behalf of Asset | Econometrics. I have had the pleasure of coordinating quite a handful of committees this year and I enjoyed them all equally. For this article, I would like to highlight two of them. 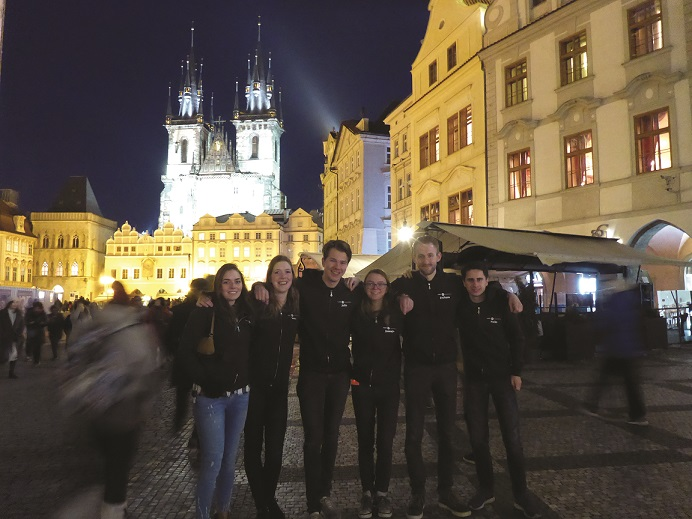 From the introduction, you might already have some idea which ones these will be: the International Business Tour 2017, with whom we visited Hong Kong, and the revamped Europe Trip Committee which took us to the beautiful city of Prague! In the year before my time in the board of this association, I was already a member of the IBT 2017 committee. I can still remember our first meeting, where we found out during our introduction round that none of us had actually been a participant of the IBT before. That is, until we got to Bas – who had already joined three editions! This turned out to be a great committee composition. We were free to fill in the tour in whatever way we had like, but we still had the experience in our midst to know what would fit and what would not. At the start of our board year, Rachel and I made the transition from members of the IBT committee to its coordinators. This meant that two new spots opened up and we were lucky enough to find two very enthusiastic members to fill these. Driven by their newly added energy, we finished up our final preparations and set out to Hong Kong. 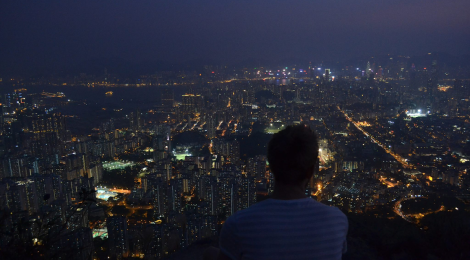 To put it as simply as I possibly could: Hong Kong was absolutely amazing. The city itself is ridiculously varied in the sorts of cultures and atmospheres it has to offer and this made it incredibly easy for us as a committee to ensure people were entertained. Our program was built around different parts of the city: on each day we visited two to three highlights in one of the city’s district. Then, once we were there, we would always give the participants free time to explore the district. On multiple occasions, just wandering around these areas could be at least as interesting as the actual ‘highlights’. In addition to the city being a perfect entertainer, we were also lucky enough to have a group of people that could be easily entertained: everyone got along incredibly well and whenever dinner time came around, all participants would mingle into different groups so that you would spend every day with a new group of people. Still, while the conditions were perfect for us to have a great experience in Hong Kong, I certainly would not want to diminish the committee’s efforts. We spent quite some hours in the hostel’s committee room (which did not seem as if it was designed to fit 6 people of above average height) making slight adjustments to the schedule to constantly keep it in line with people’s wishes. 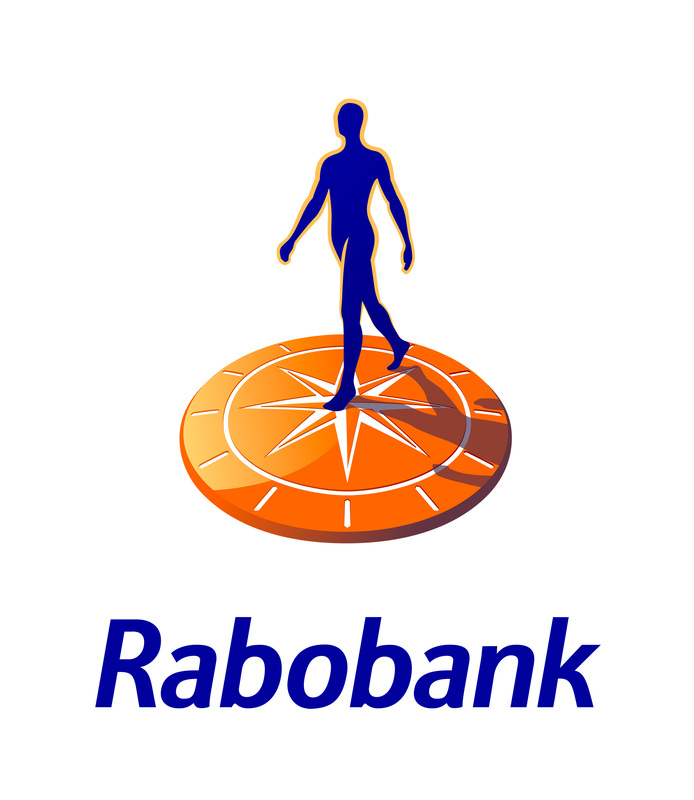 I am very glad to say that, upon returning to the Netherlands, I do not think any of the committee members would be willing to change a thing about the way our IBT went! I would like to conclude my ramblings about Hong Kong with a quick mention of my personal highlight. Without a doubt, this was our visit to Lion’s Rock. Should you ever visit Hong Kong, make sure to climb Lion’s Rock during your stay. Final tip: bring a flashlight for the way down, so that you can safely descend after watching the sunset. When I returned from Hong Kong, the Europe Trip committee was just getting started! In previous years, the Trip committee was always allowed to choose their own destination. However, since committees only get up and running during October and the Trip usually takes place in February, this meant flight tickets would often already be out of the question as they tend to get too expensive. Therefore, we decided that this time we would choose the location with our board and already book flight tickets during the summer so that we could visit a location a bit farther away. We chose Prague! Luckily, the committee was very happy about the destination. Some had visited already, but they were happy to visit Prague another time. On the contrary, this actually allowed us to easily think of fun ideas to do in Prague. Our visit was an absolute blast. Our hostel felt way closer to the city centre then we would have expected and just like in Hong Kong, our group got along really well. Perhaps Asset | Econometrics just has very friendly members. Now, I would like to draw some conclusions from having been able to coordinate both of Asset | Econometrics’ international trips during my board year. First and foremost, it is incredibly enjoyable to think up a travel schedule for a place you have never been to and then actually seeing it play out once you are there. In Hong Kong, we were able to arrange a guided tour through the parliament through a rather outdated website. The tour itself, though, was incredibly interesting and accompanied by high-tech earpieces that allowed you to hear the guide wherever you were standing. In Prague, we planned to visit the city’s Zoo on our last day there, but we were a tad worried that people would not find it interesting. In actuality, some of the group really appreciated being able to take it slow on the last day while others were completely intrigued by the animals and spent the afternoon running across the territory to make sure they saw them all. It is nice how you can never completely determine what something will be like when you’re actually there, but luckily even if something does not turn out the way you wanted it to, econometricians are usually fun enough to make it enjoyable. Something else I would like to note on these two committees is the amount of freedom you are given when you are a part of it. The IBT allows you to choose a location literally anywhere on the world and while for the Europe Trip the location is already determined, its informal character means you can think of just about anything that you would deem a fun activity to do and it can be done: in Prague, for example, we went on a ghost tour, beer biking and ice skating among many other things! I hope you liked reading some of my experiences as part of these two committees. 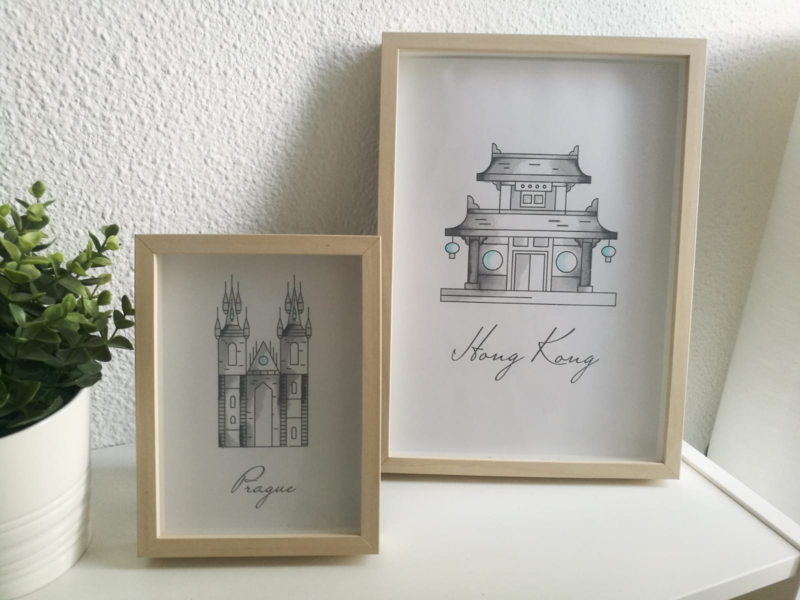 If you would like to read more about the two mentioned trips, then I would like to refer you to Nekst 2 and 3 from this year for great articles written about Hong Kong and Prague, respectively. If you are still not sure what committee you would like to join in the upcoming year, then I can greatly advise you to make sure that at least at some point in your time as Active Member, you join an international trip. I immensely enjoyed both of them – so much so, that my sister decided to make me a birthday present dedicated to them, which you can see below. Finally, without giving away too much, I would like to quietly mention that the candidate board has already decided on a location for the new Europe Trip – and based on their choice, I am already looking forward to it! If you liked this article, then I hope we will travel there together.